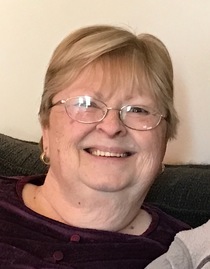 Pamela S. Stutz age 70, of Ashland, formerly of Mansfield, passed away Thursday, April 4, 2019. She was born July 28, 1948 in Ashland, the daughter of the late Russell Robert and Margaret Anne (Sweet) Sheaffer. Mrs. Stutz had been a resident of Ashland County most all of her life. She had been employed with Eagle Rubber Company, National Latex, Cresco Corp., Ashland Quality Egg Farm and later retired from Hedstrom where she was a Quality Control Technician. Mrs. Stutz was a member of the First United Methodist Church in Ashland and attended the Crossroads Community Church in Mansfield. Mrs. Stutz was a very selfless person who cared for everyone and had been a caregiver for many of her family members. She enjoyed camping, making ceramics with her children, and had been on a Bowling League for many years. She was a wonderful cook and enjoyed entertaining especially on holidays and family events. She also enjoyed spending time with all of her grandchildren. On September 12, 1964 Pamela married Gary Stutz who preceded her in death in February 2018. Survivors include her daughters and sons in-law, Deborah and Bryan Yenni of Nankin and Laurie and Marshal Christy of Wake Forest, North Carolina; her son and daughter in-law, David and Gina Stutz of Mansfield; nine grandchildren; three great grandchildren; brothers, Ralph (Judy) Sheaffer of Ashland, and Jack (Lori) Sheaffer of Ashland; her sister, Diana (Rick) Eberhart of Ashland; along with her sister in-law, Lee Ann Sheaffer of Wooster. In addition to her parents, Pamela was preceded in death by her sisters, Margaret and Susan; and brothers, Theodore and Russell. Funeral services will be held at Heyl Funeral Home on Monday, April 8, 2019 at 1:00 P.M. with Chaplain Randy Barlow officiating. Burial will follow at Ashland County Memorial Park. Visitation will be one hour prior to the service at the funeral home.